Return within four weeks of your last appointment for a discounted price: $60 for facial and $90 for peel! Give us a try! I promise you'll love us! We'll decide which facial treatment is best for your skin type after a thorough analysis and consultation. First time clients save big on any of our regularly $80 one hour facials! 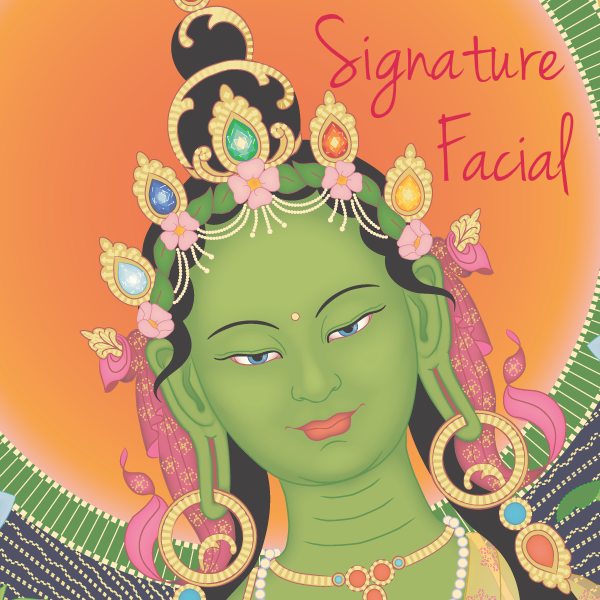 The Green Tara Signature Facial is a custom treatment beneficial for all skin types and skin conditions. This treatment includes a smoothing hand treatment and lots of massage (neck/shoulders, face, and scalp) for increased lymphatic flow and firming effects. Enjoy deep cleansing, fruit-enzyme exfoliation, and extractions, with a cocktail of serums and mask of antioxidant Vitamin C, hydrating hyaluronic, and collagen-boosting peptides, as well as an oxygenating treatment to boost skin metabolism. All ingredients that will make your skin happy and younger! A facial customized just for your skin type and skin conditions, whether acneic, rough and oily, or dry and sensitive. We will always choose the best course of action. This facial includes optional microdermabrasion and exfoliating enzymes to remove the dead layers of skin to smooth the texture and open up the pores. A steamy massage with an herbal blend stimulates circulation and collagen production while loosening up impactions. Then gentle extractions are performed to deep clean and detoxify the pores. This is followed by further treatments, such as an antioxidant rich oxygenating treatment and various nourishing masks. This facial takes the place of the former Microdermabrasion Facial, Detox Facial, European Facial, and Pumpkin Facial. Peels typically cause little to no discomfort, minimal visible exfoliation, and your skin will be glowing and healthy-looking following this quick and comfortable treatment. Our wide range of peels offer benefits for all skin types - even the most sensitive! We will choose the formula best suited for your skin. While peels do effectively treat all skin concerns, they are also great options for maintaining skin health and help to prevent visible damage. 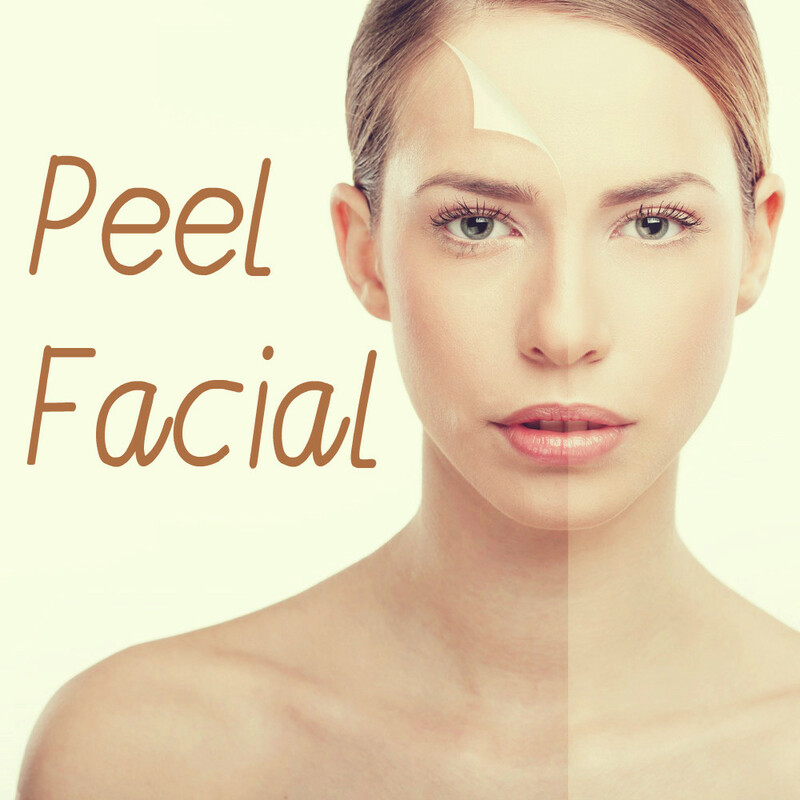 For a more relaxing experience, enjoy a peel after a relaxing gentle facial. Get the results you want with the relaxation you need. A custom facial that specifically uses products and ingredients that are safe for pregnancy. This facial is intended to correct hormonal-teenage skin conditions and to consult on how to best care for your skin.